I had the opportunity to see a rock n roll legend this past Friday night at The Depot. Don Felder was the lead guitarist for the Eagles from 1974-2001. During this time he co-wrote a number of songs most notably “Hotel California”. Here’s what I expected from this concert. The guitar play would be fantastic and I’d probably hear some Eagles songs. Both things happened. However, that’s putting it mildly. This show really exceeded my expectations. Don got things going right away opening with one of my favorite Eagle songs “Already Gone”. Then moving on to the classic “One of These Nights”. The first thing I noticed was how amazing Don Felder is on the guitar. This, as I mentioned, was one of the things that I expected. But watching him play these riffs in person was simply amazing! It truly was a masterclass in guitar. The other thing I noticed was Don is actually a solid vocalist. A famous story within Eagles lore is that Felder wanted to sing lead on “Victim of Love”. A song he co-wrote. He recorded the vocals for the song and then the Eagles manager Irving Azoff took him to lunch. In the meantime, Don Henley re-recorded the lead vocals that ended up being used. When I heard this story I just assumed that Don Felder wasn’t a very good singer so the rest of the band did what had to be done. And sure, Felder isn’t Don Henley when it comes to singing. Not many are though. But he’s a good vocalist. I really enjoyed his voice and he sang all of these songs competently. In fact, he sang “Victim of Love” in this show and I liked his vocals on that song quite a lot. 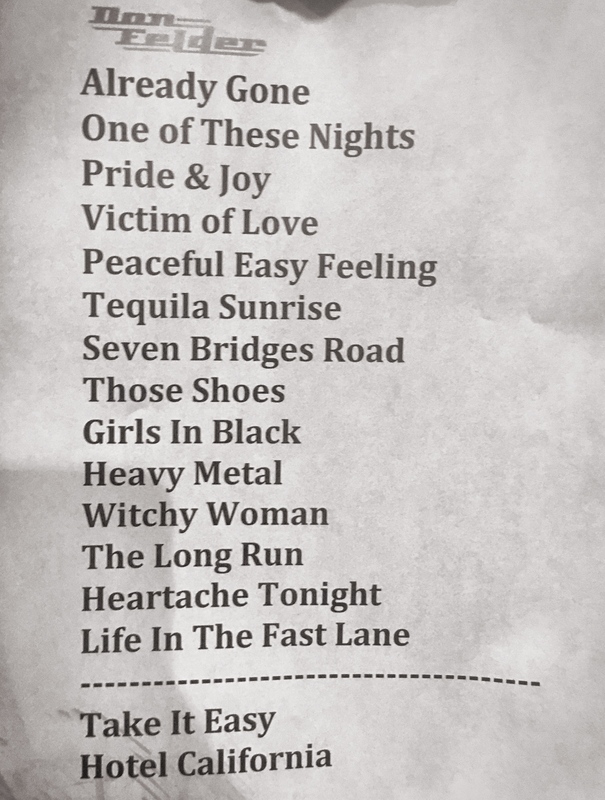 To my pleasant surprise and to the delight of the mostly middle-aged crowd, 13 of the 16 song setlist would come from the Eagles catalog. The three other songs were solo gems “Heavy Metal”, “Girls in Black”, and a cover of Stevie Ray Vaughan’s “Pride & Joy”. Don dedicated “Tequila Sunrise” to his formerEagles bandmate the late Glenn Frey. Frey and Felder had a falling out that unfortunately was never reconciled. I thought this was a really classy move and I noticed many in the audience talking with their friends about what a nice touch it was leading into the song and to the show. Felder’s backing band was incredible. When introducing them, Don shared some of the other bands they had toured with. Each one of them had extensive resumes, touring with the likes of Stevie Nicks, Kid Rock, Kenny Chesney, Pat Benatar, White Snake, and the Eagles. Their harmonies were on point and at times if you closed your eyes, it sounded as if the rest of the Eagles were there. Don and his band zipped through Eagles song after Eagles song like “Peaceful Easy Feeling” and “The Long Run” giving some personal history or backstory to each song. Things really turned up a notch when Felder played “Heartache Tonight” and “Life in the Fast Lane”. At that point, the band put down their instruments and waved to the crowd signifying that the main set was over. They never left the stage. They picked their instruments back up and went into the Eagles first hit “Take it Easy”. The crowd was electric. They sang and shouted every line of the song. 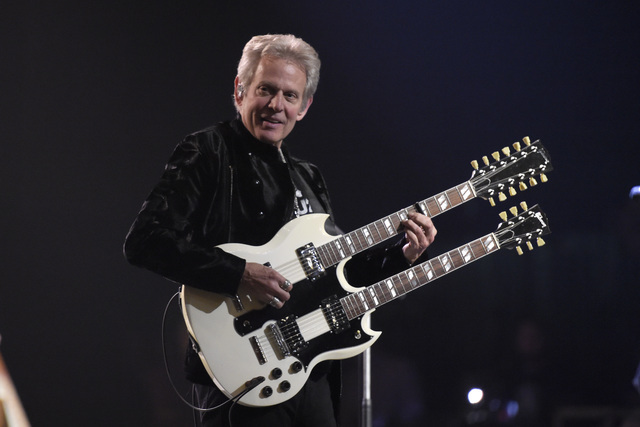 It was then immediately clear why everyone to see Don Felder as soon as he strapped on his iconic double neck guitar. It was, of course, the guitar he used for “Hotel California”. Now I’ve of course heard this song before, and I’ve seen it played live before. But there is just something about seeing the man who wrote the music to “Hotel California” play that legendary solo and of course the guitar duet at the end. I was mesmerized the whole time. I found myself just staring at his hands picking away and moving up and down the fretboard. People were singing this song so loud that a few times I couldn’t even hear Felder’s vocals. 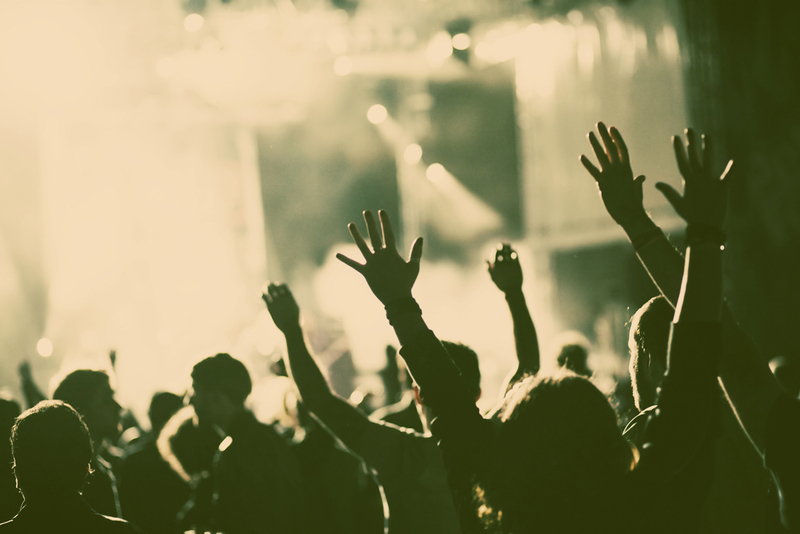 People were singing to their friends, and at times singing it to me even though we had never met. Don couldn’t have ended this show with another song. The audience, however, still cheered for more. They kept cheering even after the lights came on and music from the house speakers came on. I thought for a second they might give a second encore but then the crew came out and started breaking down the gear and we knew it was over. I’ve got to hand it to Mr. Felder. I’m sure in some way it has to be disappointing to not have been with the Eagles in the past years and I’m sure he at times misses being in that band. But he is a true talent, and he has put together a great band and a really fun show. I’m glad he’s out there doing his thing. This past summer Don opened for Styx and REO Speedwagon out at USANA Amphitheater. I was unable to attend the concert but the reports I heard back from friends was that Don Felder’s opening set blew away the bands that he was supposed to be warming up. At the time I took that as the other bands weren’t that good. But after being able to see Don Felder for myself, I realized that Don and his band and these songs are just that great!